Quincy is a very handsome and friendly Burmese cat who hangs around our campus. Officially he belongs to a family in the nearby village, but the campus grounds offer ample hunting and exploring opportunities, and many people to fuss over him, so he is often to be found there. 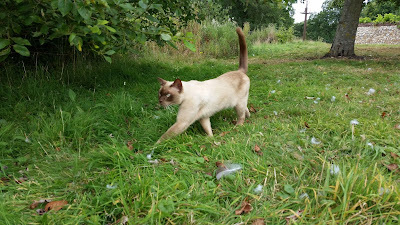 Here he is patrolling his territory yesterday.